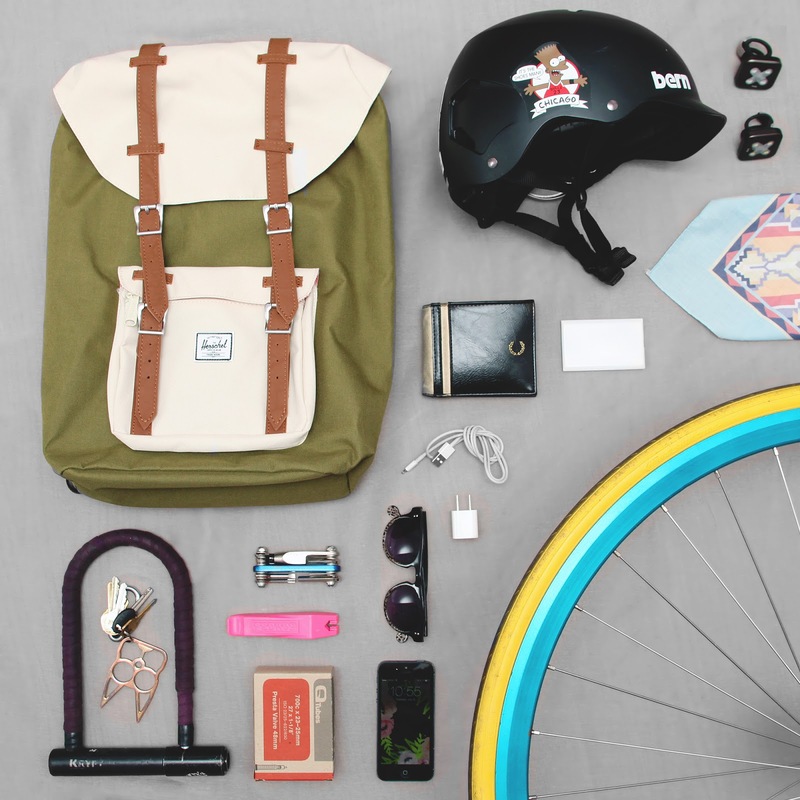 MINI PENNY: What's In My Bag // Cycling + ModCloth and Herschel Giveaway! Here's a peek at what's in my cycling bag. Depending on where I'm going, I'll throw in my iPad or camera — which this bag is perfect for because it has a great laptop sleeve! If you've been following on Instagram, you've seen me posting along with the #ModSummer Photo-A-Day Challenge. Today's the big day — post what's in your bag and you have a chance to win a $100 gift card and a Herschel bag. Header over to ModCloth's Instagram to see the details, lay your bag out neatly, and post your photo using the #modsummer and #wellpacked hashtags! Are you super stoked? I obviously love What's In My Bag posts (hence why I started doing my own series), so I'm excited to see how you all get involved in it now, too! Out In The Field Backpack c/o ModCloth.